Yuck. Now print it out and throw darts at it. Yee haa! Hey folks, thought we'd give you a quick low-down on what we working on at the mo. We're still working on a Childrens book for Ashton scholastic, which should hopefully be all done in the next month or so and we have just started some Christmas skits/idents for C4 (NZ Music Channel). As soon as we've finished them we'll post up a link for you guys to check them out, or alternatively, if you live in NZ, check them out on C4 in the next few weeks . We' have also just recently wrapped production on some stuff for Maori TV, some new titles for C4's "Six Degrees of Seperation" as well as a music video and some promo work for NZ band "Pluto". Next we have lined up some more ident/skit work for C4, a possibly TV pilot, some design work for a yet to be announced web cartoon, and if all goes well, our own children's book. So yeah, we gonna be busy! Oh yeh, and if all goes well, we may have a nice big announcement to make, but that's for another post. I'm gonna take the honors of making the first official "vent" post, and it's gonna be a moan!! Sorry. I've just witnessed a crime....a heinous crime! 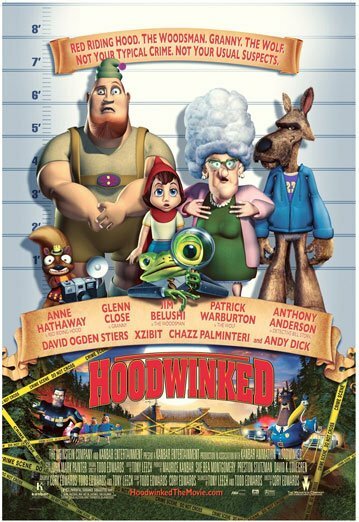 Now that CGI is the hip new thing in animated features, later this year we are going to be blessed with a brand new film called Hoodwinked. I apologies for doing that to you, but It had to be done. First you'll notice that they took a lot of time creating original and wicked looking designs for each of the characters....hang on.....that's right.....They skipped that bit!! Every single one of the characters looks like the were created directly in 3Ds max without a single thought put into style. Secondly you'll notice how hilariously original the story is.....no wait, they skipped that bit too!! I'm pretty sure Shrek (don't get me started on that franchise) already did they whole "we're taking the piss out of fairy tales" thing. Plus I know some pretty smart 4 year olds who are already writing similar stories. Thirdly, you'll notice they forgot to animate the whole thing. Last time I checked, sliding your characters around and flicking through 4 different pre-set mouth shapes isn't animation. Do not go see this film. Don't let the "big name" celebrity voice cast snag you, this is a cheap badly made film that doesn't deserve you're money!! So this is what all those talented 2D animators lost their jobs for. I feel like crying! Thankgod we have Barnyard, Ant Bully, Shrek 3, Puss 'n' Boots, and lots more to look forward to. Let the bad times roll. 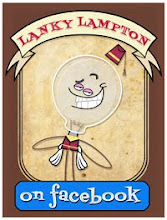 Cheers for taking the time to check out our new blog. The three of us will constantly post up our two cents on all matters of things, but mostly all things animation. 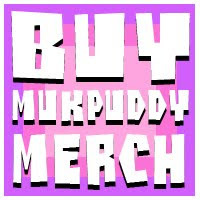 We've been running Mukpuddy Animation (www.mukpuddy.com) for about 4 years now. We're a small 2D animation studio in New Zealand who create music vids, TV adverts, web cartoons, comics, kids books and lots more. Each of us did 3 years classical animation training and a little bit of CGI, but our heart lies with 2D. (Yeah, so that means you'll most likely hear us piss and moan about bad CGI quite a bit).